2) The main departments: There are three main departments of the credit bureau. I) Equifax), II) Experian and III) TransUnion. You should get a copy of your credit report from each of them. They all provide a free copy of your credit score once a year. In this way you can be on the top of the possibilities of looking after all progress and improvements your credit score. 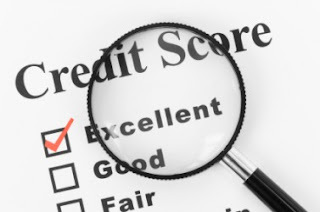 3) Try to get the copies regularly: You can expect 30 to 45 days to get another copy of your credit report. You may have to pay a few dollars to get it this time. Overhaul this time and see if there is any difference in your credit report. If you keep repeating this process regularly then you will find out that you are improving your credit report in a very fast speed. 4) Always maintain a record: If you face any type of dispute in your credit score then immediately sent it to the reception. You need to keep all the records very carefully. You have to keep the record of all the date, time, and all the names, otherwise you will mess up with everything and find it very difficult to rearrange. You should pull out all negative elements from your credit report in order to improve your credit score in a better way. So these are a few steps which would help you to improve your credit report. Many people think that is a very difficult task, but in reality it is not.